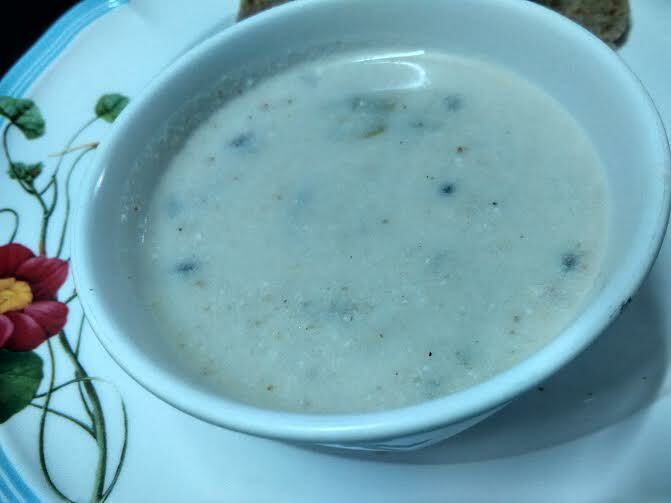 Kadhi is a widely popular in north India, especially Punjabi homes. 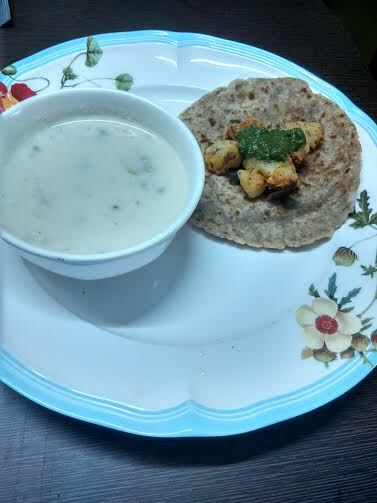 Then there is a special Guajarati Kadhi and Rajasthani Kadhi as well. We can savor kadhi everyday. Now you can relish your favorite kadhi during fasting days as well. How? Let's see! 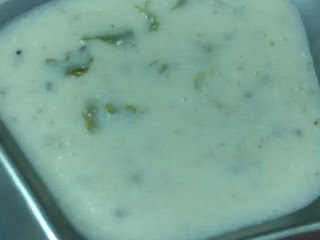 Mix curd and singhara atta. Make sure there aren't any lumps. Add salt and water. Whisk well. Dry roast 8-10 almonds. Let them cool and then grind into powder. Usually most recipes use peanut powder, but I always substitute it with almonds. When the ghee is hot, add jeera and sabut dhaniya. Next add ginger-chilly paste (if you are not using ginger, add chilly). Now add the dahi batter. Keep stirring so that it does not curdle. Keep it on low flame while stirring intermittently. Stir in between. The kadhi will be ready in 10-15 minutes. I kept it longer though. Enjoy the kadhi for fast with rajgira-kuttu roti. Here's my vrat thali today. To check recipe for soft and sumptuous rajgira-kuttu roti, click here.